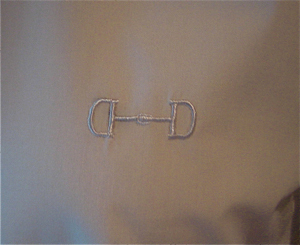 Decorated with the embroidered snaffle bit insignia over the left breast this is a super affordable riding shirt in bright white with wrap collar ( 1 provided). Slightly fitted through waist. Fabric: 35% cotton 65% polyester.